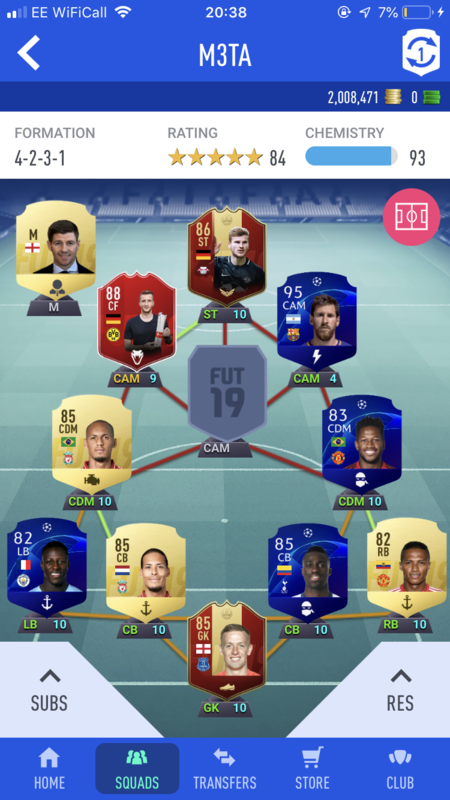 Who to get at CAM lads? If that’s the line up, it surely needs to be Maradonna to give Messi some chemistry to work with? I would say 95 Mara but that would probably be like having 2 messi's? Not a bad thing tho ? Personally I'd always like at least one more physical player to attack with. I think it gives you an extra dimension if you're being swamped. anything below 2 mil. seems to stay around 2mil, at least lately.